Ecommerce is a hot topic right now, not only among those who love to shop products with easy but also for those who aim to make money by starting their own venture. One great thing about eCommerce is that anyone can start the business from anywhere in the world. You can simply create your own website once you pin down the right idea or product.Many people think starting eCommerce business is so simple, you just need to create a website, gather some products, click photographs and upload them on website to earn money. Of course, the process is similar to what people believe, but there are a few important things that every business owner should consider before starting an online selling platform. Just like any new business, eCommerce takes a lot of efforts, dedication and patience. 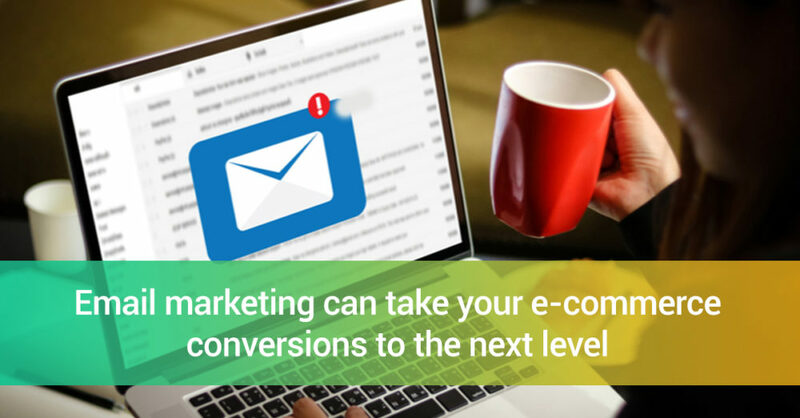 You need to be convincing enough to make customer purchase from your newly launched website. Of course, you can start your own eCommerce business in a few steps. All you need is a domain name, hosting space and some products that your buyers would purchase. But, the real challenge comes much later, in sustaining and growing your business. Following are the top 6 questions that every entrepreneur should ask before starting their own ecommerce store. 1. Should I Get Dedicated Hosting or Shared One? Business, large and small, are faced with a wide range of options when it comes to selecting the hosting plans. There are multiple platforms dealing with hosting, but the most common issue most business owners face is whether to go with a dedicated or shared hosting? Dedicated Hosting – It is a type of hosting where you have an entire server — the whole machine — all to yourself. This is just like renting a whole house and having a total control over the rooms, when to come and how to manage the furniture. No other websites are hosted on your server. Dedicated hosting gives you a full control from the machine-level configurations to your control panel dashboard settings. Shared Hosting – On the other hand, in shared hosting you share the space with many other websites. It is like renting a room in a multi-apartment building where all other rooms are occupied by other tenants. You have no actual control over the building and cannot limit the number of visitors. Online websites like Hostgator and GoDaddy are the leading names in hosting services, offering competitive pricing with an easy-to-understand user system, allowing online business owners to easily select the desired domain name and suitable hosting package. Selecting the best suitable hosting plan is easy with GoDaddy as it offers the easiest way to select and purchase the package that fits in your budget. Before you make the final decision of buying a domain name online, it is important that you check for the hosting plans as the GoDaddy offers free domain name with selected hosting plans. The domain name you choose will have an impact on how much traffic your site attracts. Hence it is important that you give some additional consideration when selecting a domain name for the website. It should match with your business. Think about the terms that your target audience may search when looking for your services. For example, if you are offering Search Engine Optimization services in Atlanta, then selecting one of the followings may be best choice. SEOAtlanta, BestSEOServices, etc. Consider a keyword-rich domain name inspired by words related to your products or sector. A coherent strategy will help you to quickly build traffic flow from search engines. If you decide to purchase a domain name without the powerful keywords, understand that you should have SEO friendly webpages to bring in traffic. Your brand name should align with the services and products you offer to the target audience. This is an easier way to attract the target audience to your business website. Your website is your online shop. It has to be attractive enough to catch your target audience’s attention and keep them engaged. And persuade them to complete product purchase using a simple checkout process. This is the place where you display your products and attract customers. If it is not attractive, it will encourage people to jump to competitors to purchase the same products. With global eCommerce giants like Amazon and eBay who sell almost everything at single platforms, a bad customer experience on your website spells doom. Now the challenge that every eCommerce business startup would face is whether to hire the services of a web developer or follow the “Do it Yourself” method using trusted Open Source platforms like Shopify, Magento, Zencommerce, or WooCommerce and a host of other tools available in this space. Hosting – Uses their powerful server to run your store successfully and smoothly. Payments – It can be used only for a few countries like Canada, Australia, UK, U.S.A. Hiring a professional development company would be the best decision you can take as these companies have skilled experts to deliver everything you need like design, development, hosting, etc. When looking for the best development companies, you may get proposals from companies who would give you great service but their proposition would be costly while some would offer cheaper prices but getting your work done from them may prove challenging. If you are new to the business and aim to follow the “DIY” approach, using platforms like Shopify, Zencommerce etc., will help you create and launch your website in a matter of minutes. The pre-designed formats available with these platforms are easy to use, but customizing these formats may be a little challenging. Once you are done with the selection of the best platform to develop your website, it is time to think about the layout and other important things. Atomic – Atomic is a prototyping tool that requires no coding. Antetype – It is a UX design application expected to boost the productivity of UI designers. Mascaw – A tools that is fit for composing semantic HTML and concise CSS. Avocode – Avocode guarantees the automatic generation of code pieces for exported pictures. Sketch – It is a useful tool in the exploration and UX phase of the design procedure. Webydo – A B2B hybrid tool that consolidates both website design and development in one. Material UI –CSS Framework that Implement Google’s Material Design. While using the above mentioned tools can be helpful for better website design, but it is important to take a little more care about the design part as it should be capable to hold users’ attention and you know your users better than the tools. No matter what you sell or offer to the clients, it is important that you use the best suitable images at front-end. Appealing images grab users’ attention and trigger an almost instantaneous response when they encounter them. Website images play a significant part in determining our first impression, so it is important to keep in mind a few things when selecting the right photographs. The Sense of Originality – Attractive images are appealing, but it doesn’t mean stock photos will do the job for you. Instead, using the original images may be a better choice. It’s better that you hire a professional photographer and come up with one-of-a-kind imagery that perfectly suits your business. Quality Counts – You are sure to spend a few more moments at the websites where good quality images are used. Although you may leave the platform of the services are not reliable enough. Select only high-definition images, while ensuring they are fast to load with small file sizes. Evoke Emotional Response – Online business lack a sense of personal touch, hence it is important that you evoke a sense of emotional response through images. Get images that guide viewers towards making the decision to purchase. Images should be able to deliver the sense of pleasure of using a product or service. Get Models Smartly – It is important to feature the people in images that resemble your target audience. For example, if you are running an online apparel store for teenagers, it is good to display images of the models of similar age group. People want to see themselves reflected in the happy, smiling faces they encounter online. Getting started in web development also requires some basic understanding of good design. I’d recommend learning the basic concepts of design. Learn how to think like a designer. 2. What Will I Sell & How to Handle Inventory? Product inventory plays a great when it comes to choosing the right eCommerce platform. Hence it is important to know what you are going to sell and how large is your inventory. Check if there may be complications when selling your products to other countries. Whatever you sell online, it is important that you make your website available on the top of the website, hence it is important to use the best suitable keywords for your website using free tools like Google Planner. It lets you get the best suitable keywords that attract most visitors to websites like yours. Product Types – There are usually two types of products sold online-digital and physical products. If you are selling products that are delivered to your buyers’ doorstep, you may have your own set of requirements. On the other hands, if you are selling products that have no physical appearance and are sent in the form of digital files, you may want to select the best suitable platform that suits your requirements. For example, if you are selling digital subscriptions and will need to charge users on a monthly basis. Choosing the right platform according to your platform may be strategic as not all platforms make it easy to charge users on a repeat basis. Size of Inventory –The size of your inventory matters a lot when you are planning to start your eCommerce business. There may be many decisions that may be made according to the size of your inventory like website development platform, hosting type and hiring teams, etc. If your platform isn’t going to sell many products, you may go with some basic eCommerce platforms while the bigger inventories would require robust platforms like Magento that is capable of handling more than 5, 00,000 products. Your product inventory would primarily depend on the type and size of the business you are planning to run. For example, if you are running a business to deliver fresh food via an eCommerce platform, the number of items kept in the warehouse would differ drastically than a platform selling clothing or accessories. Overall, it’s recommended to keep low stock levels to lower costs of operation. This helps increase your cash flow as you’re not weighed down by the high price of maintaining stock for long periods of time. 3. What Payment Options to Offer? After the successfully selection process, checkout is the most crucial process for any buyer. Trust plays a major role here. So, you need to make sure your customers feel comfortable when shopping through your website. And using the safe and secure payment methods is the key for it. If you’re just starting out, integrated payment solutions that people trust, such as PayPal. In US – 2.9% of the transaction amount plus a fixed fee based on the currency. Outside US – 4.4% of the transaction amount plus a fixed fee based on the currency. The integration may be done with the help of a developer as it requires a lot of coding skills to get your website equipped with the PayPal or any other payment gateway. Once you grow to other countries and expand your reach, you may want to integrate some other payment methods and gateways. Your decision of integrating other payment gateway solely depends upon your geographical reach. For example, if you plan to make your services available in Australia, then you may want to use the payment gateways that are trusted by the people in that country. And since the Bitcoin is trending these days and more people are investing in this cryptocurrency, accepting BTC as payment may be a great choice to stay above the competitors. Many eCommerce business owners may be unaware of the way how online transactions take place. Before starting your journey as a successful business, it’s a good idea to understand how the online transactions work. You need to have a merchant account and payment gateway in order to process transactions. Using your own secure payment processing such as Authorize.net adds credibility and trust to your site. 4. Should I Invest in Digital Marketing or Other Promotional Methods? So, now that the ribbon has been cut and you have successfully launched your online shopping platform, it is time that you start receiving orders from customers. But, how are you supposed to get orders when no one knows about you? It is time that you launch a well-laid marketing plan. Making the target audience about an online store is one of the most challenging tasks for an online entrepreneur. And you have multiple options to promote your brand. 95% online adults aged 18-34 are most likely follow a brand on social media. 71% of online shoppers recommend businesses that have had a good social media presence. The best time to post on Facebook is 3:00 p.m. on Wednesday, 12:00–1:00 p.m. on Saturdays and 1:00–4:00 p.m. on Sundays, Thursdays and Fridays. While social media marketing cam be done by yourself, but using the available tools is a good choice as it reduces the time required for promotions. Here is a list of some top social media tools that may be used. Social Clout – It is designed to track engagement and calculate social media ROI. This tool shows you which demographics have the best engagement so as to change your marketing strategies. Feedly – This lets you put your whole content ideation on autopilot mode. Just add the RSS feeds of your favorite blogs and writers and this tool will create a daily magazine with all its content. Socedo –It helps automate lead generation by finding and acquiring targeted leads through different social media channels. Canva – Images are the most engaging for social media audience and Canva makes things easier for you. Investing in trending marketing methods like TV ad and Newspaper ads may seem lucrative, but Digital Marketing plays a very important role here. Since you are going to sell products online to the global shoppers, it is essential to invest in the Digital Marketing campaign. For best results, choose a brand able name that can easily be discovered on the Internet. Using Digital Marketing, you can target a local or international audience with custom marketing plans. The campaign can be tailored to specific audience demographics, such as gender, location, age and interests. This means you know who is going to see your advertisements. Unlike traditional marketing methods, the digital marketing gives your audience a choice. The target audience get a choice to opt in or out of communication. Don’t underestimate the power of market segmentation and tailored marketing. Plan – Create a strategic plan to know your audience and attract them effectively. Respect Privacy – Do not get involved in making revenue by selling customer data to others. Find Right Channels – Identify the right marketing channel where you can reach out to customers with your content. Original Content – Stand out and be noticed by posting high-quality unique content. Know Competitors –Know your competitors and identify what marketing strategies they are using. Spam – When creating emails, make sure they don’t land in their spam box. Put all your eggs in one basket – Identify the different elements of digital marketing and use the best suitable ones for promotion. Be Unfriendly – Stay friendly with customers and build long-term relationships by showing that you understand their needs. 5. How to Handle Product Marketing? The way a marketing campaign is launched makes a great difference on the results it delivers. Experts believe that it is always better to launch a brand marketing campaign in the early stage. Early launched marketing campaigns have more chance of yielding maximum results. Ideally, it should start before the launch of the product or a brand. And to make marketing campaign a great success, it is important to research customers’ demographics. You may want to know everything about the target audience like age group, location, and more about target audience, break down all the goals into smaller specific goals. This makes it easier for marketing plan to be measured effectively. Landing page is the most important aspect for any marketing campaign and utilizing the A/B tests on landing pages is the key to success and to accomplish campaign related goals. Here is an example of a landing page that you may want to follow. Impact landing page is quite appealing and interactive. It is the Hubspot partner, but it is not the reason we’ve made it a part of the article. The landing page of IMPACT has long been a source of design inspiration. It is designed using a simple yet engaging layout from the large headline copy and detailed featured image, everything is pleasing to the eyes. They’ve included a check box to subscribe to their blog and that is automatically checked. This, indeed is a great way to increase subscribers. Try using online free tools like Google Adwords to understand your target audience and tailor your marketing plan accordingly. 6. How to Handle Product Shipping? After the eCommerce business setup process, the first thing companies struggle with is the product shipping. First off, the items you sell must be able to shipped, both legally and realistically. For example, if you sell alcohol, certain places will not allow you to deliver while the furniture delivery to a distant place may be a tough task. Even if the items you sell are completely legal to ship to other countries, the shipping and delivery costs must be calculated into the prices or you must charge for it separately. This is the most common mistake that new eCommerce store owners make, which leads to great loss. Multiple tools are available to calculate shipping for your online platforms. For example, Table Rate Shipping is a suitable tool for WooCommerce websites that offers highly customizable shipping options. This plugin defines multiple shipping rates depending upon the product delivery location, price, weight, or item count. You can tie with the global shipping providers like USPS, UPS, Fedex, etc. to handle shipping easily. While these companies handle the shipping part for you, it is your job to figure out how you will handle the shipping of these items before you get started on site development. Figuring out how to streamline your product shipping helps you save a lot of time and money, not only of yours but also of your customers. And by offering things like free shipping or discounted improves your rate of conversion significantly. For the beginners, shipping and packaging can be a hectic task and wrong decisions can lead to great loss of conversion and loyal customers. Hence there are many things that may be considered for effective shipping and packaging. Below are the top do’s and don’ts of product shipping and packaging for eCommerce business. Show shipping charges beforehand – Customers may be surprised or even irritated if bombarded with unwanted charges for shipping during the last step of checkout. It is important to let your customers know about this before. Try including free or paid extensions or plugins that make available “Cash on Delivery” check based upon the Zipcode. Package products smartly – There may be various incidents when shoppers get annoyed when product is not packaged correctly. Also, it can lead to defect in the product during shipment process. So, do take care of the packaging before you deliver. Provide multiple shipping options – Make available multiple options for the shoppers to select their trusted shipping partner for product delivery. The goal here is to reduce any unintentional confusion for the customer. Offer Free Shipping – There is nothing better than offering free shipping to shoppers. Believe me, people just love websites that offer free shipping as it helps them same a lot on the final purchase. Make them wait for product for days – The only thing people hate about online shopping is the time they need to wait for products to deliver. Amazon has done a great job by offering express delivery under which the products are delivered the same day of delivery. Give away damaged products – As mentioned in previous points, it is never a smart choice to deliver damaged products. Always check your product for any damage before you ship it. Also, it is important to package the product safely. Let anyone pack products – It would need proper training to pack the products safely. The inappropriate packing of products can irate or unimpressed consumers. You can turn your team into a veritable packing experts with relative education on proper packaging techniques. Creating an eCommerce website can be a great step to improve your overall sales and brand presence, but as common as the online selling has become, there are many other things that must be considered in order to do it correctly. The above mentioned 7 questions will help you determine what the best directions may be for your company’s eCommerce aspirations. So what are you waiting for? Get started with your journey to become a leading eCommerce business owner and remember, website launching is just the beginning of the journey. Launch-ecommerce Ecommerce business, Ecommerce website, Start Ecommerce. permalink.